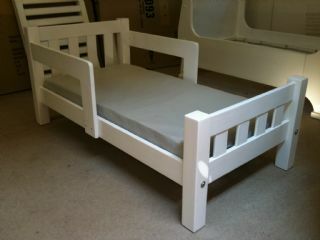 Can be made to different sizes at an extra cost. Foam Mattress must be ordered separately. Size 1260 x 630 x 100. Note length is same as a Cot. Suitable up to approximately 4 years old. Can order a 100mm medium density foam mattress with a semi water proof cover to suit at cost is R265.00 order under general comments on check out form. Note is a juvenile length.